Our guarantee to you! We want you to be happy and feel secure with your purchase! Weekends & Public Holidays office is Closed. Website is monitored everyday. You can purchase at anytime!. 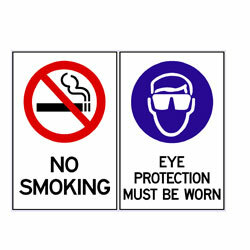 After Hours, email us at: info@safesigns.com.au. Special deliveries or deliveries of an urgent nature may be arranged for after hours, Sundays and Public Holidays if confirmed prior with TOTAL SAFETY SIGNS for an additional fee. Sydney Metro Only. For special deliveries contact us at: info@safesigns.com.au. On line orders purchased before 11am are dispatched and delivered same day. Afternoon orders are next day delivery. Public Holidays excluded. Orders made Saturday after 12pm and Sundays will be delivered the next working day. Public Holidays excluded. Afternoon, Weekend or Public holiday orders maybe subject to same day delivery to local area’s within the South West Sydney area’s only. All orders to Country NSW, Queensland, Victoria, South Australia, NT, Western Australia and Tasmania purchased online via credit cards option are dispatched same day of the order being placed and are delivered within 1- 4 days of purchase, excluding weekends and public holidays. Orders purchased online via manual options will be held until payment is cleared. 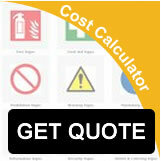 A delivery fee will be charged for any Re-deliveries due to errors that are of no fault of TOTAL SAFETY SIGNS. While we endeavor to deliver by the allocated time there are times where this is not always possible due to unforeseen circumstances. TOTAL SAFETY SIGNS and its carriers make every effort to ensure that all packages are delivered on time, however do not accept responsibility for late or non deliveries for reasons beyond our control. Late deliveries do not constitute a failure of our agreement and does not entitle a cancellation or a refund of an order. We will however do our best to ensure your purchase gets there as quick as possible. Feel Secure in the reassurance of purchasing on line, using our very safe and secure gateway payment system, all effort has been put into place to ensure your credit card payment remains private and secure!